Dr. Jann Joseph is the Interim Chancellor and the Executive Vice Chancellor at Indiana University-South Bend. She has been at IU-South Bend since July 2014 and has responsibility for Academic Affairs, Enrollment Services, and Student Services. 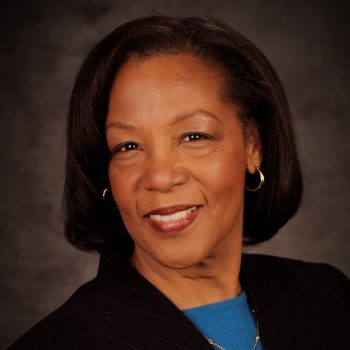 Previously she served as the Dean of the College of Education at Eastern Michigan University (EMU) and Associate Dean for Professional Development and Administration in the College of Liberal Arts and Sciences at Grand Valley State University (GVSU). Prior to serving as Associate dean, Dr. Joseph was the Program Coordinator of the Integrated Science program at GVSU. She has more than 30 years of experience in higher education having earned her Ph.D. in Curriculum and Instruction (science education) from the University of Wisconsin. Her administrative experience in large and diverse liberal arts and sciences, and professional colleges affords her a unique perspective on developing collaborations across student affairs and academic affairs. She integrates her life and professional experiences to lead her campus around seamless student support. Under her leadership, IUSB’s culture is becoming more student centered and all decisions are strategically considered within the campus’ vision for student success.